Falling asleep with the TV on, as I often do, I learned a few things about Scotty McCreery this morning from programs and commercials that aired while I dozed in and out of consciousness. Scotty, a native of Garner, North Carolina, stars in a new commercial for Bojangles' that couldn't be more Southern. 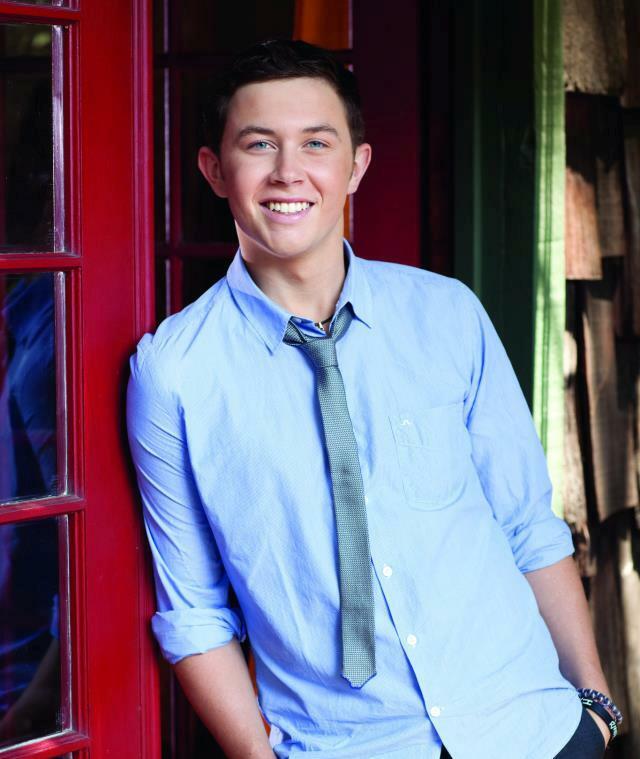 The American Idol winner has a new Christmas album out, titled Christmas With Scotty McCreery. You can get a free download of one of three songs through a special Bojangles' promotion. Plus, Scotty, who's only 19 years old, is currently a student at North Carolina State University, taking classes on Mondays and Wednesdays. He spends the other days of his week touring and meeting the demands of his music career, as he explained this morning on Good Morning America, where he also sang "Let It Snow." This week has already been a busy one for the young man. He performed at the "Christmas In Washington" event Sunday in front of the First Family and other dignitaries and celebrities. The special was taped and will air Friday, December 21, at 8 p.m. on TNT. Then on Monday night, he appeared at the American Country Awards, which aired live on FOX from Las Vegas. All the while he's been squeezing in time to take his final exams at NCSU.